Tom Watkins’s practice focuses primarily on closely held businesses and investment vehicles. He has extensive experience in representing investors, borrowers and lenders in a broad range of complex transactions, including debt and equity investments, financings, mergers and acquisitions and restructurings. Mr. Watkins spends significant time representing private equity funds and other investors in connection with their investments and related matters, including negotiating investment terms, exit transactions and private equity fund management. His private equity clients have been involved in transactions throughout the United States and internationally. Mr. Watkins represents clients in a broad range of industries. His clients, for example, include private equity investors in the real estate, energy and technology fields and the owner of a regional portfolio of radio stations. He is frequently involved in structuring relationships among business owners and is often engaged in connection with limited liability company operating agreements and other stakeholder arrangements. He also regularly provides advice on a broad range of contractual matters. Mr. Watkins's practice includes the area of New Markets Tax Credits (NMTC's). His representations include an NMTC allocatee that has participated in NMTC transactions on a national basis. 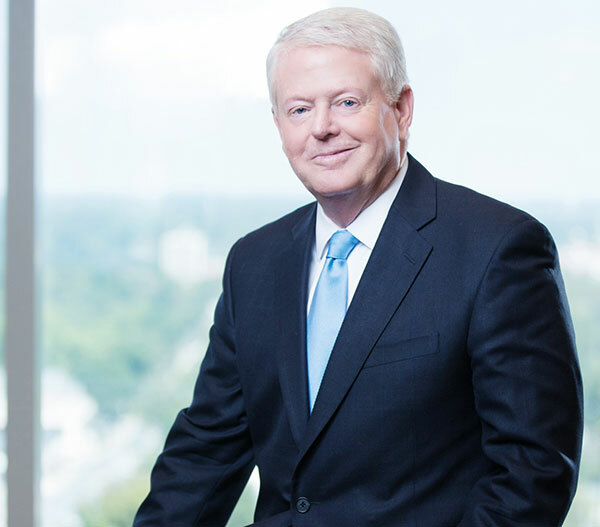 Mr. Watkins has spent significant time over the years with the North Carolina Bar Association and is a past member of its Board of Governors. He is a past Chair of the Bar Association's Business Law Section. Mr. Watkins serves as Chairman of Schell Bray’s Executive Committee. Mr. Watkins is married and has three grown daughters and five grandchildren. He enjoys salt water activities and golf and is an avid fan of college sports. He is also actively involved in a variety of civic and charitable activities. ©SCHELL BRAY PLLC 2018. ALL RIGHTS RESERVED.